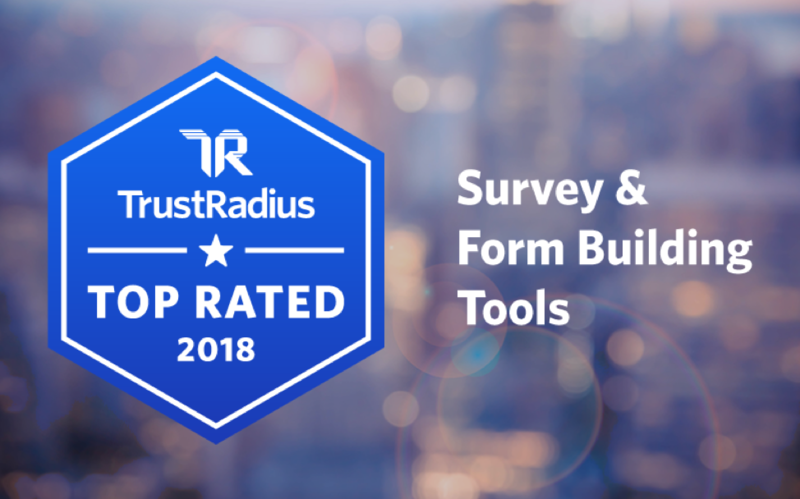 The reviewers have spoken, and Wufoo has earned the 2018 Top Rated award for Survey and Form Building Tools from TrustRadius. The TrustRadius Top Rated awards are unique in that they are an unbiased reflection of customer sentiment, based solely on user satisfaction scores. In order to earn a Top Rated badge for Survey and Form Building Tools, products must be in the top tier of the category with 10 or more reviews and ratings. Every reviewer is verified and every review is vetted before publication to ensure buyers can make truly informed decisions. According to positive feedback from authenticated users, Wufoo is living up to their promise of helping users build powerful online forms in minutes. Ease of use, customization options and an intuitive interface are commonly cited strengths across Wufoo’s 81 reviews and ratings. Read on to see what users had to say. To learn more about Top Rated awards, read this guide on how TrustRadius Top Rated works.